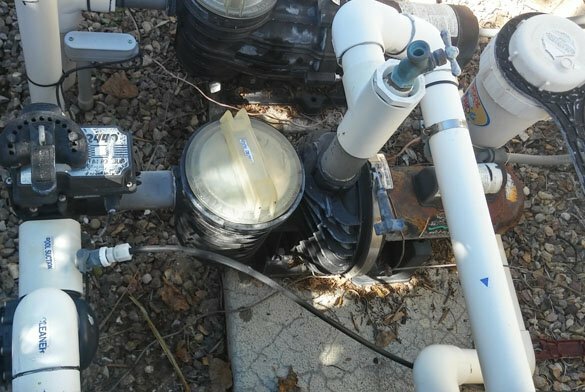 A San Diego homeowner in 4S Ranch called with a swimming pool problem. The pool circulation pump was not running properly. Also the swimming pool water was becoming cloudy. We scheduled a service call to look at the swimming pool pump. On arrival we noticed that the Sta Rite Max-E-Glas II pool pump was straining. Our repair technician made sure there was no blockage at the skimmer. They made sure their was no problem with the pump basket too. There was no problems found with the pool pump. Therefore our attention moved to the pool filter. It was noticed that the filter pressure gauge reading was quite high. 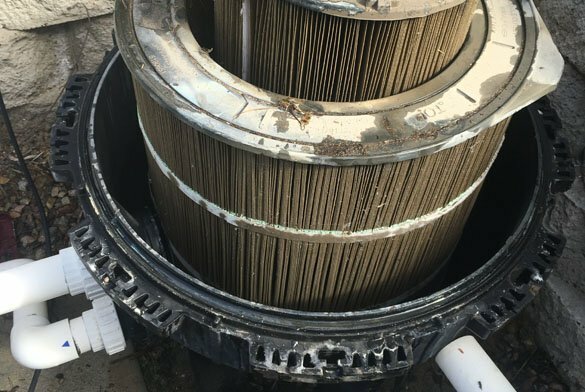 After making sure the gauge was working properly we spoke with the homeowner.While speaking with the homeowner we were told the filter cartridges had never been cleaned. The Sta Rite 450 SQ. 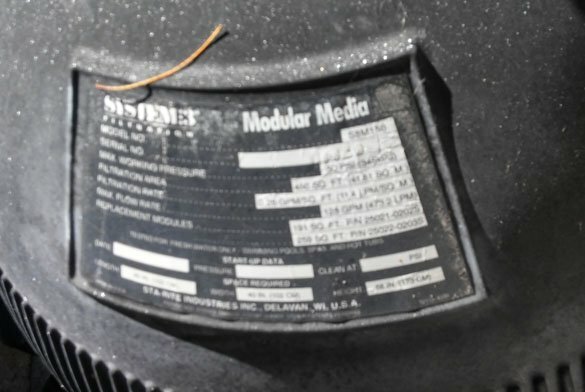 FT. System 3 modular media cartridge filter was at least ten years old. We opened the pool filter to inspect the cartridges. It was decided that cleaning the cartridges would not fix the filter problem. The two cartridges would need to be replaced with new filter cartridges. A new S8M150 259 Sq. Ft. outer cartridge (25022-0203S) was installed. Then a 191 Sq. Ft. inner replacement cartridge (25021-0202S) was installed. While replacing the Sta Rite filter cartridges we also replaced the 25” filter tank o-ring (O-486-9). The filter was put back together and the pump started. 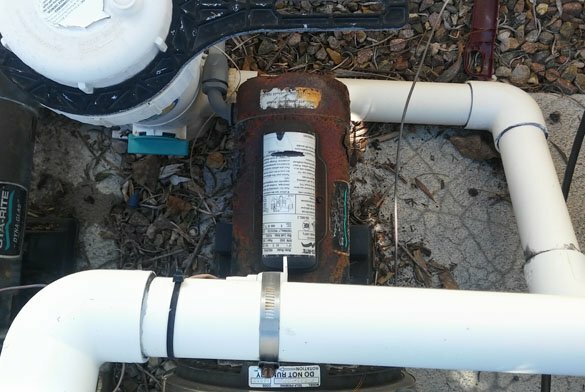 After completing the pool filter repair the pump ran correctly and the pressure lowered. As part of our pool repairs we checked the water chemistry. This helps to prevent future problems such as algae blooms. At this 4S Ranch home we found the water chemistry to be out of balance. The conditioner levels were high and needed to be addressed. To correct the high conditioner levels in the pool we drained a portion of the water. Fresh makeup water was added to the pool lowering the cyanuric acid levels. The San Diego homeowner then hired us to perform weekly pool cleaning service. 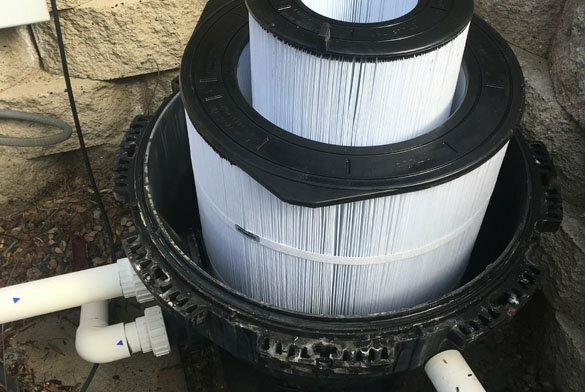 ProTouch was happy to help the pool owner fix the pool filter and balance the pool water.